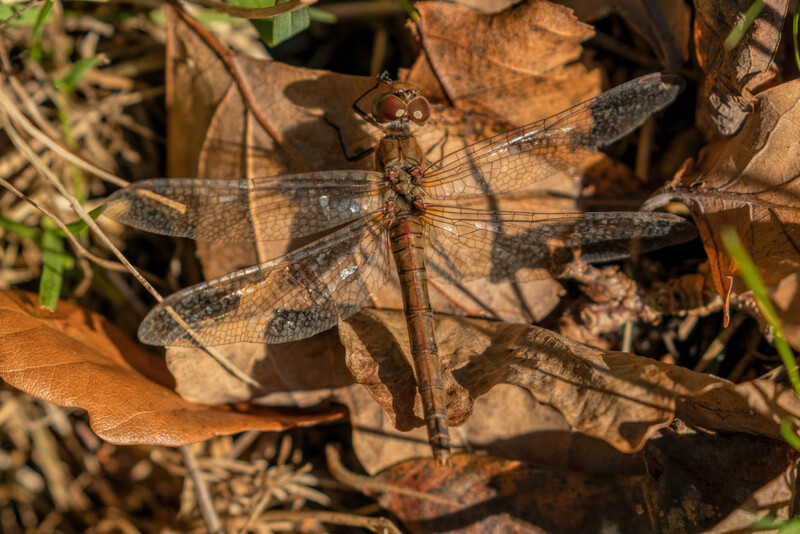 The purpose of this blog is to keep dragonfly enthusiasts up to date with dragonfly activity throughout the season. This way we should all know first hand what’s on the wing in Shropshire. All are very welcome to be part of this seasonal diary. 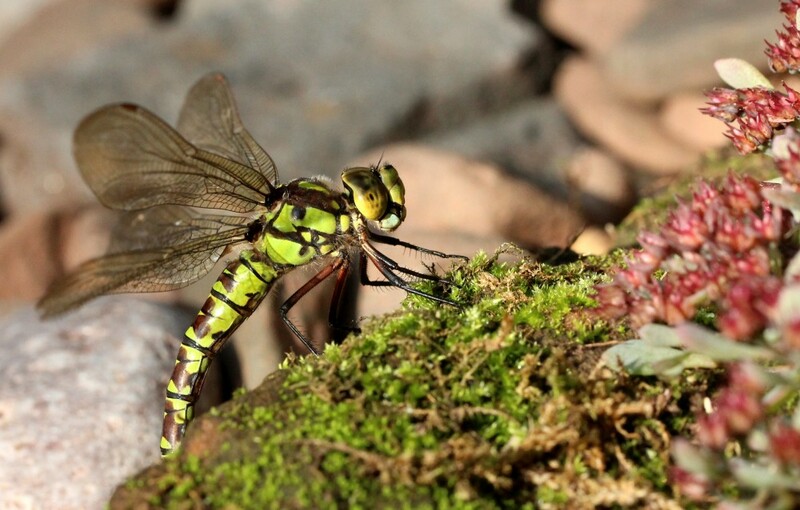 Get in touch at info@shropshiredragonflies.co.uk with sightings and photographs so I can post them on the blog. 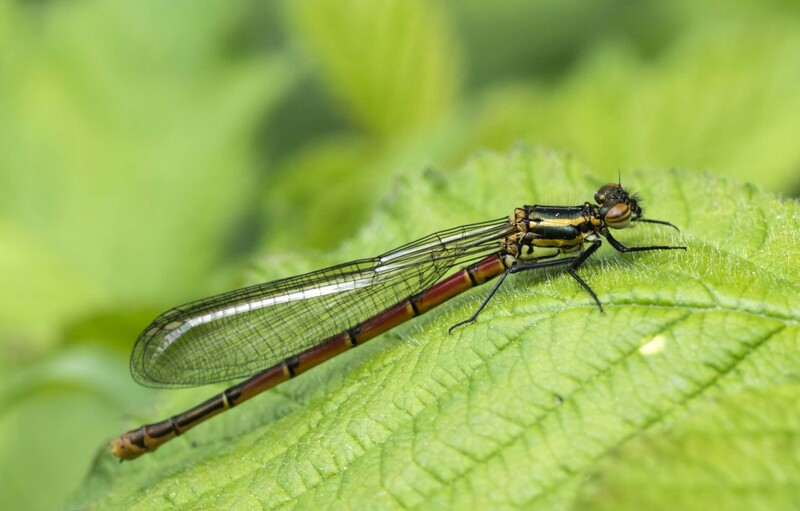 Even if you’re new to dragonflies and not sure what you have photographed please send it in and get involved in the 2019 Shropshire Dragonfly Watch. 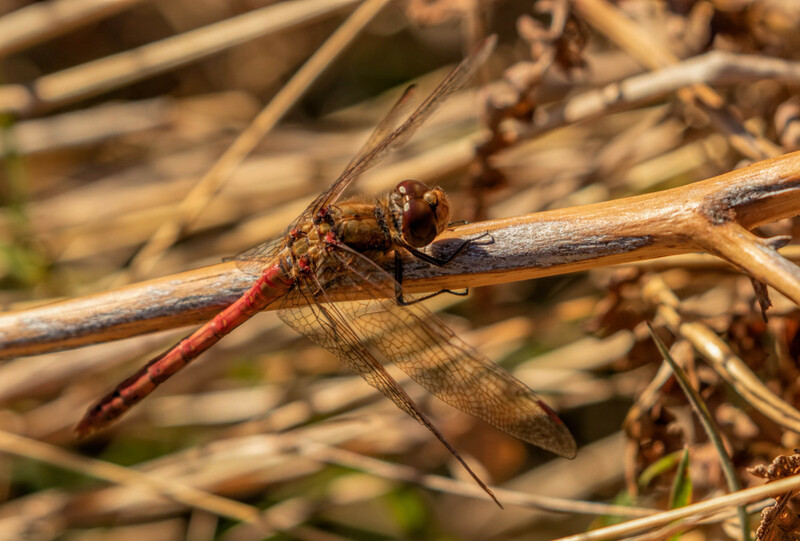 Large Reds Launch in Shropshire! 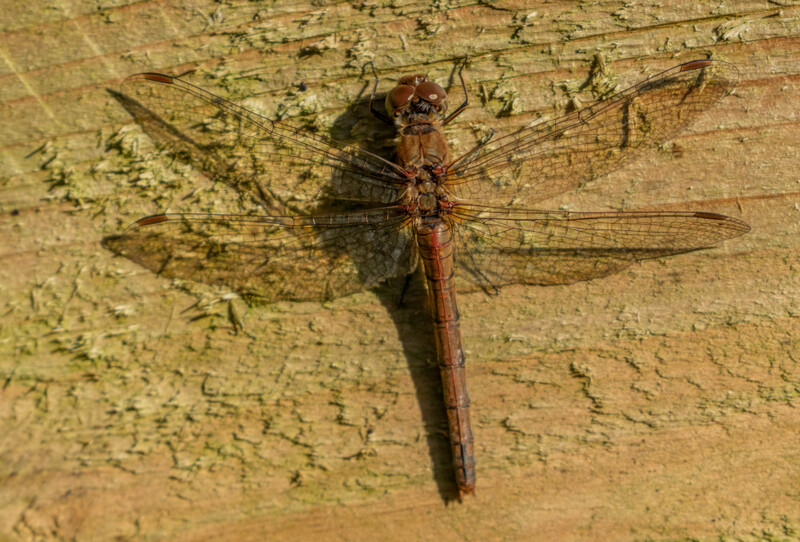 Despite extensive searching Stephen Barlow found no further Common Darters at Whixall and the last known sighting was on 18th November but unfortunately on the Welsh side of the Moss! Keep me posted if you catch any last minute glimpses before colder weather sets in. In the meantime Jan Shields has sent in some interesting pics taken in mid October. 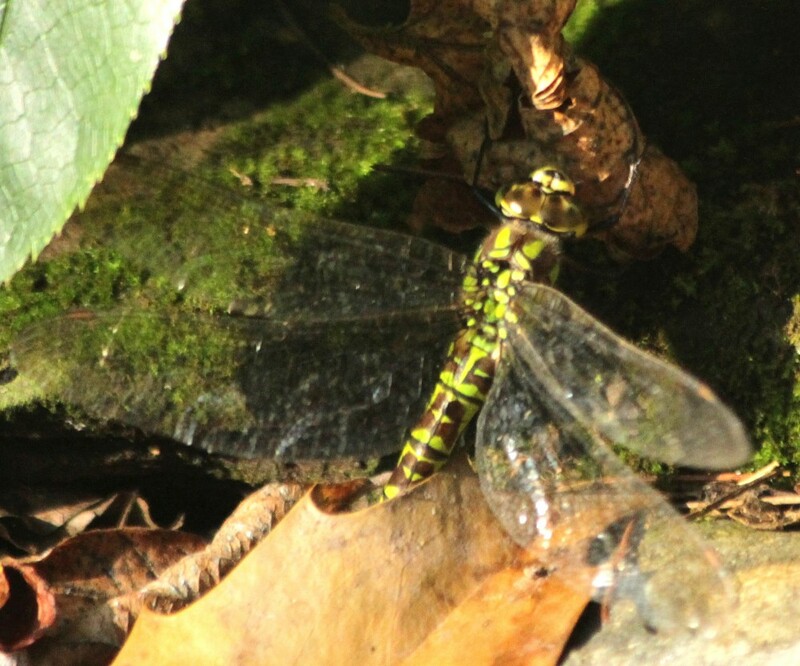 This female Southern Hawker was seen to move leaves- picking them up with her legs and ‘throwing’ them into the nearby pond. This enabled her to access the mossy stones underneath for egg laying. It seems a bizarre choice with a pond nearby, but she had apparently just had a near miss with a blackbird and was possibly looking for something more covert. Following this behaviour she then proceeded to lay eggs on a windfall apple for good measure! Jan will be keeping a close eye on this apple next spring! Will it be a record breaking year? 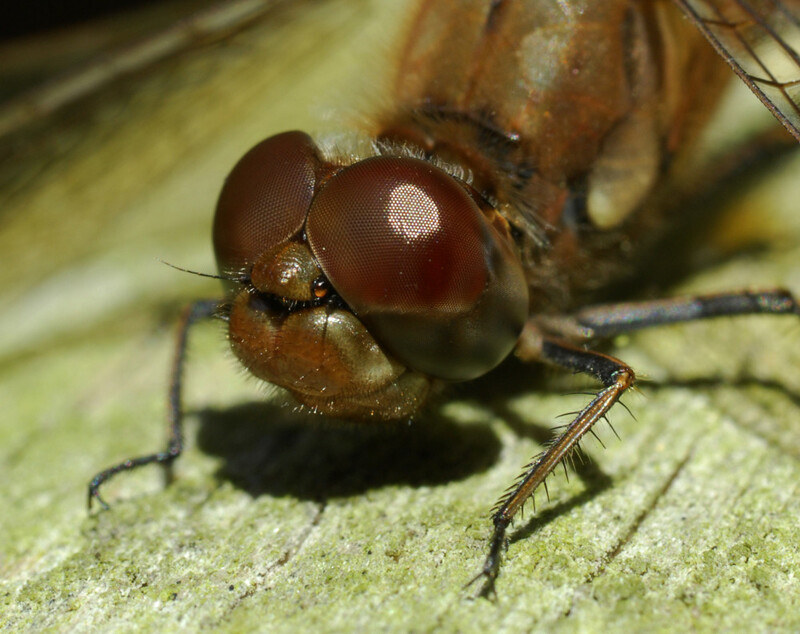 Stephen Barlow has been seeking out more early November Common Darters finding them in sun traps on Whixall Moss. 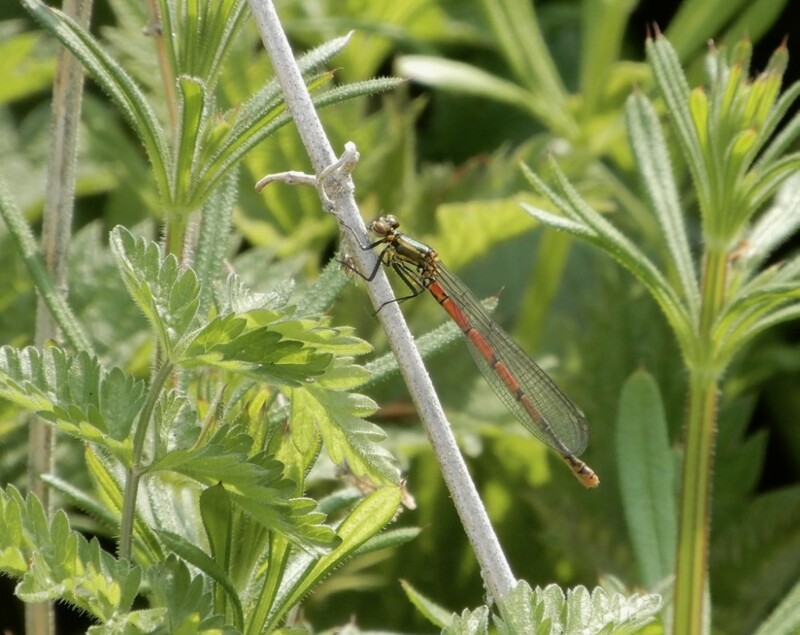 Interestingly Stephen points out that due to the low sun at this time of year a northerly wind (though colder) can improve your chances of success as dragonflies can find sun traps that are both out of the wind and in the sun. When southerlies are blowing, the shelter from the wind is usually on the opposite side to the suntrap.